Trust the #1 Language school in France! We are very proud that Accent Français has been voted "Best French Language School" since 2012. We welcome students from over 70 that want to study for one week or much longer stays, that are 16 years old and older, with no language requirements, all year long. 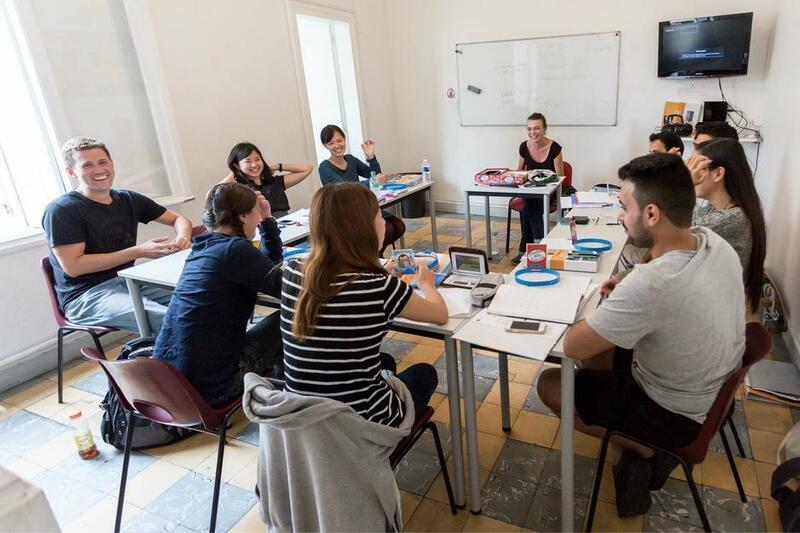 The school is located on the famous Place de la Comédie in the heart of Montpellier and we offer individualized follow ups before and during your stay. 20 French lessons per week with an emphasis on understanding, comprehension, and oral expression. Accent Français offers a rigorous programme for students preparing for official examinations, such as the DELF, DALF, TCF, A-level, Irish Leaving Certificate, Chamber of Commerce tests, etc..
You will join a group of three at the most, three times a week, in order to prepare for the test you wish to take. The other students will have the same level as you and will be preparing for the same test. For these lessons, you will join a small group of students preparing for the same exam (three students maximum). - Private Courses 20 - This course offers 20 one-on-one lessons with your teacher per week. - Private Courses 30 - This course offers 30 one-on-one lessons with your teacher per week. This exciting summer course offers 20 hours of instruction per week, in addition to fun activities Montpellier and excursions in the region of Languedoc-Rousillon. Accent Français offers two Junior French Programs for students who want to learn about the French language and culture. Accent Français est une école très bonne, elle a une équipe de professeurs bien fournie, et tous sont super. Ils ont beaucoup d'expérience. Montpellier est une ville intéressante. les gens qui y habitent sont très avenants. Nous sommes heureux que tu aies passé un bon séjour parmi nous. I really enjoyed my course. Teachers made the difference: they are very passionate about their job and they have wonderful ideas about topics (e.g. slam, tales, exposés). I would have liked more free activities. Maybe an afternoon coffee to meet other students. However, the overall experience was wonderful! We organize what we call "Freshmeet Monday" every beginning of the week for students to go out and get to know each other. Die Lehrer/innen sind motiviert und die Gruppen klein, was einen guten Lernklima schafft. Die Gebauede hingegen sind jedoch ewas renovierungsbeduertig. Nichtsdestotrotz wuerde ich dieses Schule weiterempfehlen. Hello Angela ! We are always happy to read our students feedbacks, in order to do our best to make their experience at Accent Français more and more enjoyable. Your remarkable emprovement is very encouraging for our teachers , as well as our policy to keep a small number of students in each classroom, so that our students will have more time to practice in class. If you come back to Montpellier, do not hesitate to come and see us again ☺ !! !